The 2010 Detroit Tigers season was the team's 110th season. This year saw the passing of legendary Tigers broadcaster Ernie Harwell, and nearly saw the first perfect game thrown by a Tigers pitcher. The Tigers spent most of the season in 2nd or 3rd place. The third-place Tigers finished 13 games behind the AL Central Champion Minnesota Twins, with an 81–81 record and failed to make the playoffs. Austin Jackson made the Tigers' opening day roster, and was American League Rookie of the Month for April. 2010 also saw the debuts of several rookies from the Tiger farm system, including Brennan Boesch, Scott Sizemore, Danny Worth, Casper Wells and Will Rhymes. Boesch was called up on April 23, 2010, and was named the AL Rookie of the Month for May and June. The Tigers sent three players to the 2010 All-Star game. Miguel Cabrera and José Valverde were selected as reserves, and starter Justin Verlander was added to the team when another AL starter who was selected was unable to pitch due to scheduling. At the All-Star break, the Tigers were a half-game out of first place in the AL Central, behind the Chicago White Sox. But a slow start and injuries to key players Magglio Ordóñez, Carlos Guillén and Brandon Inge shortly after the break sent the Tigers into a tailspin. Closer Valverde would also suffer a series of nagging injuries down the stretch. The Tigers finished the season with an 81-81 record, good for third place, 13 games back of the division-winning Minnesota Twins. While playing outstanding baseball at home, the Tigers were just 29-52 on the road. Only the Seattle Mariners had fewer road wins than the Tigers among American League teams. Among the season highlights were Miguel Cabrera hitting .328 with 38 home runs and an AL-best 126 RBI, earning the American League Silver Slugger Award at first base and finishing second in the AL MVP race (earning 5 of 28 first-place votes). Austin Jackson (.293 average, 103 runs, 181 hits, 27 stolen bases) finished second in the AL Rookie-of-the-Year voting. Justin Verlander enjoyed another strong season (18-9 record, 3.37 ERA, 219 strikeouts). After a slow start and a brief trip to the minors, Max Scherzer showed promise with a 12-11 record, 3.50 ERA and 181 strikeouts. On July 26, the Tigers were on the losing end of Matt Garza's no-hitter in Tampa. On October 9, first base coach Andy Van Slyke announced he is leaving the team. On November 9, the Tigers hired Tom Brookens as their new first base coach. Brookens played on the 1984 World Series championship team and was most recently the manager of the team's Class-AA affiliate at Erie. On November 6, the Tigers removed Marcus Thames and Matt Treanor from their 40 man roster, allowing them to become free agents. On November 16, the Tigers released Jarrod Washburn and Aubrey Huff to free agency. On December 1, the Tigers released Plácido Polanco to free agency. On December 8, Fernando Rodney and Brandon Lyon turned down arbitration and became free agents. On December 7, the Tigers traded Clay Rapada to Texas for a player to be named later or cash considerations. On December 9, the Tigers completed a 3 team deal. They gave Curtis Granderson to the Yankees and Edwin Jackson to the Diamondbacks and received Max Scherzer and Daniel Schlereth from Arizona and Austin Jackson and Phil Coke from New York. On December 21, the Tigers traded Dusty Ryan to San Diego for cash considerations or a player to be named later. On March 30, the Tigers traded Nate Robertson and cash considerations to Florida for Jay Voss and cash considerations. On November 20, the Tigers purchased the contracts of Scott Sizemore, Audy Ciriaco, Ryan Strieby, and Brennan Boesch. On December 7, the Tigers signed Brad Thomas. Also on December 7, the Tigers re-signed Adam Everett to a 1-year deal. On December 16, the Tigers re-signed Ramón Santiago to a two-year deal. On January 13, the Tigers re-signed Joel Zumaya, avoiding arbitration. On January 19, the Tigers signed José Valverde to a two-year deal. Also on January 19, the Tigers re-signed Gerald Laird, Zach Miner and Bobby Seay. On February 4, it was announced that Justin Verlander and the Tigers have reached a deal for a $80 million, 5 year contract extension. On February 22, the Tigers signed Johnny Damon to a one-year deal. On June 1, the Tigers traded Dontrelle Willis and cash considerations to Arizona for Billy Buckner. On June 6, the Tigers designated Adam Everett for assignment. On July 28, the Tigers acquired Jhonny Peralta from the Indians in exchange for minor league pitcher Giovanni Soto and cash considerations. On May 4, Tigers broadcaster Ernie Harwell died at age 92. Two days later, Harwell's body lie in repose at Comerica Park, with over 10,000 fans filing past the casket. 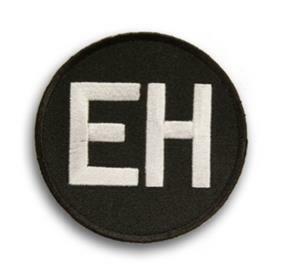 In his honor, the Tigers wore patches (shown at right) and flew a flag in the center field of Comerica Park both bearing his initials for the remainder of the season. In the June 2 game against Cleveland, Armando Galarraga had a perfect game going with two outs in the top of the ninth when first base umpire Jim Joyce made a controversial call, ruling a batter safe at first when video replay showed he was out. Joyce later said ""I took a perfect game away from that kid, I thought he beat the throw. I was convinced he beat the throw, until I saw the replay." After the game, Galarraga told reporters Joyce apologized to him directly and gave him a hug. Despite large fan support for overturning the call, MLB Commissioner Bud Selig let the call stand, but said he would look into expanding replay beyond home run calls for the future. It would have been the first perfect game thrown by a Tigers pitcher. Two previous Tigers, Tommy Bridges (1932) and Milt Wilcox (1983), had also come within one out of throwing perfect games before having them broken up by the 27th batter. ^ "Cabrera wins third Silver Slugger, first in Detroit". MLB.com. November 11, 2010. Retrieved November 22, 2010. ^ Marc Topkin (July 26, 2010). "Garza has Rays first no-hitter". ^ Beck, Jason (October 9, 2009). "Five coaches invited back for 2010 - First-base coach Van Slyke will not return to Tigers". MLB.com. Retrieved February 1, 2010. ^ Beck, Jason (November 9, 2009). "Tigers name Brookens first-base coach - Former infielder has been managing in Minor Leagues". MLB.com. Retrieved February 1, 2010. ^ Beck, Jason (November 6, 2009). "Tigers part ways with Treanor, Thames - Pair likely to become free agents after removal from roster". MLB.com. Retrieved February 1, 2010. ^ Beck, Jason (November 16, 2009). "Tigers won't pursue Washburn, Huff - Club expects to lose both midseason pickups to free agency". MLB.com. Retrieved February 1, 2010. ^ Beck, Jason (December 1, 2009). "Tigers offer arbitration to Rodney, Lyon - Polanco unlikely to re-sign; promotion set for Sizemore". MLB.com. Retrieved February 1, 2010. ^ Beck, Jason (December 8, 2009). "Lyon, Rodney turn down arbitration - Immediate free agents expected to be highly sought". MLB.com. Retrieved February 1, 2010. ^ a b Beck, Jason (December 7, 2009). "Tigers sign Thomas, deal Rapada - Team executes switch of lefties, sends Simons to Toledo". MLB.com. Retrieved February 1, 2010. ^ Beck, Jason (December 8, 2009). "Tigers complete three-way blockbuster - Trade of Jackson, Granderson brings relief, reshapes roster". MLB.com. Retrieved February 1, 2010. ^ Beck, Jason (December 21, 2009). "Tigers send Ryan to San Diego - Detroit acquires player to be named or cash for catcher". MLB.com. Retrieved February 1, 2010. ^ Frisaro, Joe (March 30, 2010). "Marlins acquire Robertson from Tigers". MLB.com. Retrieved March 30, 2010. ^ Beck, Jason (November 20, 2009). "Tigers add four players to roster - Star prospect Sizemore among group heading to Detroit". MLB.com. Retrieved February 1, 2010. ^ Beck, Jason (December 7, 2009). "Tigers, Everett agree on one-year deal - Tigers, Everett agree on one-year deal". MLB.com. Retrieved February 1, 2010. ^ Beck, Jason (December 16, 2009). "Tigers, Santiago agree on two-year deal - Veteran infielder netted career-high seven homers in 2009". MLB.com. Retrieved February 1, 2010. ^ Beck, Jason (January 13, 2010). "Zumaya, Tigers avoid arbitration - Right-handed reliever agrees to one-year deal with Detroit". MLB.com. Retrieved February 1, 2010. ^ Beck, Jason (January 19, 2009). "Tigers make Valverde deal official - All-Star closer signs two-year contract with option for 2012". MLB.com. Archived from the original on January 23, 2010. Retrieved February 1, 2010. ^ Beck, Jason (January 19, 2009). "Tigers, Verlander exchange figures - Detroit signs Miner, Seay and Laird to one-year deals". MLB.com. Archived from the original on January 23, 2010. Retrieved February 1, 2010. ^ Beck, Jason (February 22, 2010). "Tigers, Damon complete one-year deal". MLB.com. Archived from the original on February 24, 2010. Retrieved February 22, 2010. ^ Gilbert, Steve (June 1, 2010). "D-backs get Willis from Tigers for Buckner". MLB.com. Archived from the original on June 5, 2010. Retrieved June 1, 2010. ^ Zuba, Samuel (June 6, 2010). "Everett gets designated for assignment". MLB.com. Archived from the original on June 10, 2010. Retrieved June 18, 2010. ^ Price, Ed (July 28, 2010). "Tigers Add Jhonny Peralta From Indians". AOL Fanhouse. Archived from the original on July 30, 2010. Retrieved July 26, 2010. ^ Mark Snyder, Shawn Windsor, Mike Brundenell, Jeff Seidel, and Tammy Stables-Battaglia (May 7, 2010). "Thousands walk, roll to park for Ernie Harwell's send-off". Detroit Free Press. Retrieved October 4, 2010.